On June 10, 2016 at a coffee house in Washington DC Hillary Clinton was speaking with reporters when she suddenly started jerking her head around like a broken bobble-head doll. The poor woman is in worse shape than we thought. The video was very disturbing. Do Not try this at home alone! AP reporter Lisa Lerer was totally alarmed by the disturbing incident. After the bizarre incident Lisa Lerer posted an article defending Hillary Clinton and attacking The Gateway Pundit. I’ve never been part of a conspiracy theory. 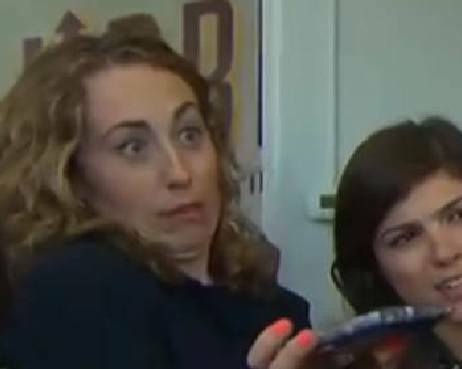 Now, video of my surprised facial expression has become Exhibit A in the latest unfounded speculation about Hillary Clinton. It starts with Clinton’s visit to a muffin shop in Washington on June 10, five days before the District of Columbia’s Democratic primary. The then-presumptive Democratic nominee popped in for a photo op with Mayor Muriel Bowser and other officials supporting her campaign. Two months later, that innocuous exchange has become the fodder for one of some Trump supporters’ most popular conspiracy theories: her failing health. Where I saw evasiveness, they see seizures. Stringing the footage together with shots of Clinton seeming to get help going up stairs, they pressed the case that Clinton has health issues serious enough to disqualify her from the presidency. The hashtag? #HillaryHealth. “Wow! 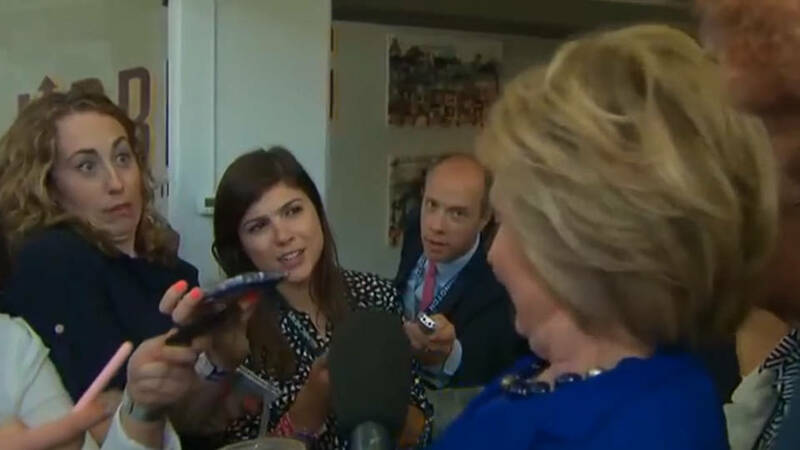 Did Hillary Clinton Just Suffer a Seizure on Camera?” asked Jim Hoft at Gateway Pundit on July 23, more than a month after that day at the muffin shop. Of course, her report was crap because you can see by her face that she was totally shocked by Hillary’s seizure. 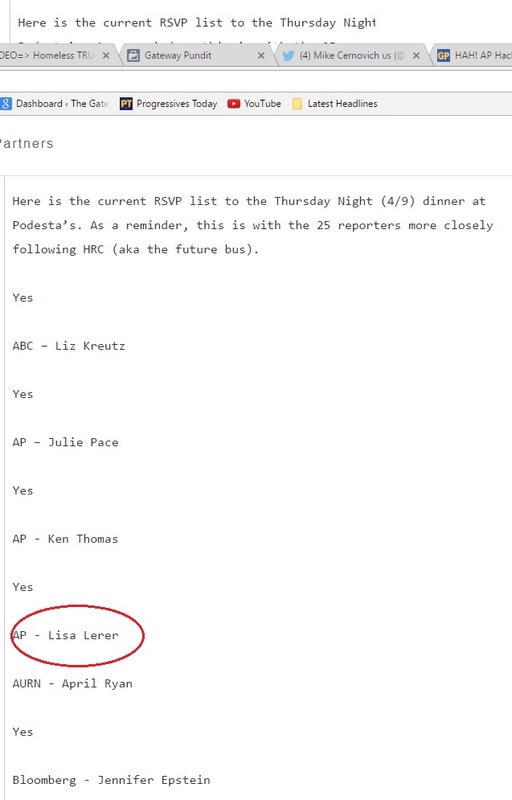 Lisa Lerer was one of the mainstream liberal journalists invited to dine with the Clinton campaign at John Podesta’s house. Thanks to Wikileaks we now know that at least 65 mainstream reporters were working closely with the Clinton campaign this election year. They were invited to top elitist dinners with Hillary Campaign Chairman John Podesta or Chief Campaign strategist Joel Benenson. Lisa is a liberal hack. And now, thanks to Wikileaks, she is exposed.